Les Misérables is set in France during the aftermath of the Battle of Waterloo and the French Revolution. It centres around the character Jean Valjean and his search for redemption. After a promise to her dying mother, Valjean dedicates himself to ensuring Cosette’s safety and happiness. Meanwhile, he is relentlessly pursued by Inspector Javert, who believes Valjeanhas broken his parole as a former criminal. With this story as its central focus, the novel explores themes of hardship, social unrest, political turmoil and revolution in early 19th century France. 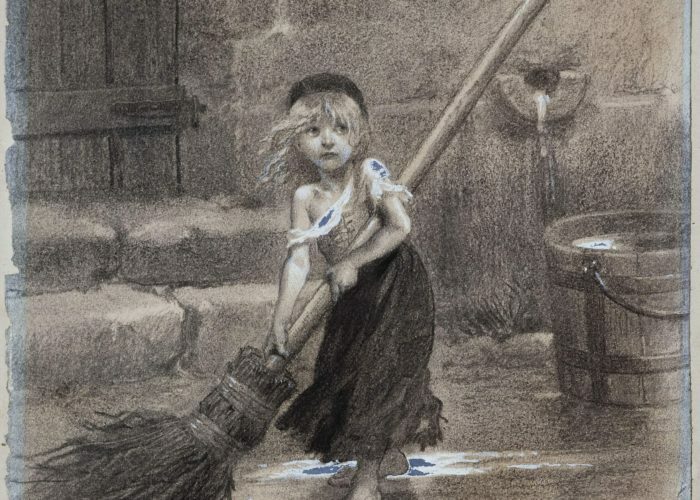 This illustration of Cosette as a young girl was created by Èmile Bayard. It has become symbolic of the entire story and used over and over again, most famously on posters for Boublil and Schöenberg’s musical. 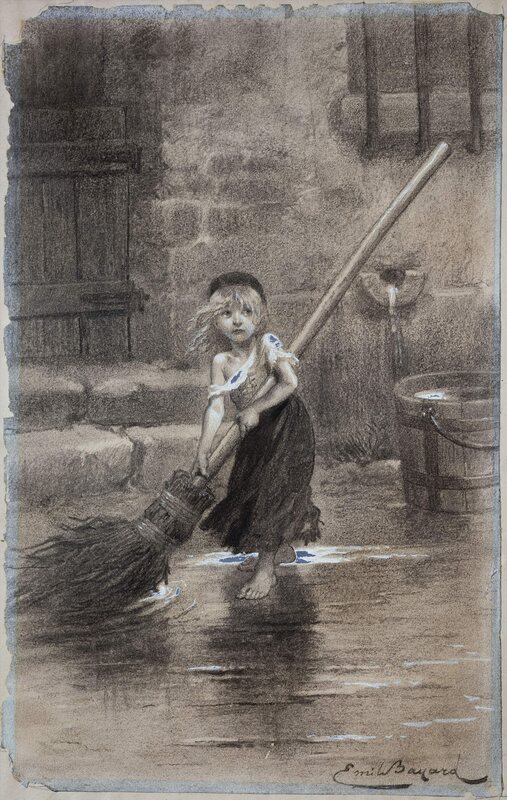 Cosette’s character as a child faces poverty, starvation, and forced labour but through education and compassion is reprieved – a theme of many reformers of the age. Opened in 1985, with English lyrics by Herbert Kretzmer, Les Misérables is the longest running musical in London. “Cosette”. Illustration for “Les Misérables” by Victor Hugo. Charcoal by Emile-Antoine Bayard (1837-1891). Paris, Maison de Victor Hugo.